When it comes to bike industry technology, September is the new January in terms of where the new year begins. In the wake of Eurobike, the biggest exhibition in the business, there’s a flood of intoxicating new directions in bike and kit development. Some of these crazes might just be flavour of the month, others could shape the competitive and leisure bike market for years to come. These are our top trends you’ll be seeing plenty of in 2014. Until 2011 the helmet Holy Grail was lightweight, low profile and significantly vented. The only deviation to this rule was in time trials where the need for speed would outrank rider comfort. But when Cavendish won the 2011 World Championships with a clear plastic cover over his Specialized Prevail it sparked a change in direction for helmets. While the UCI swiftly banned detachable covers, citing them as ‘fairings’, development moved into the wind tunnel with the aim of creating the ultimate aero helmet for road use, blending the need to be fast yet comfortable, with little thought for appearance. Giro’s Air Attack swiftly became a ProTour mainstay for its team’s sprinters and lead-out riders. It was reminiscent of a 1980s crash hat. 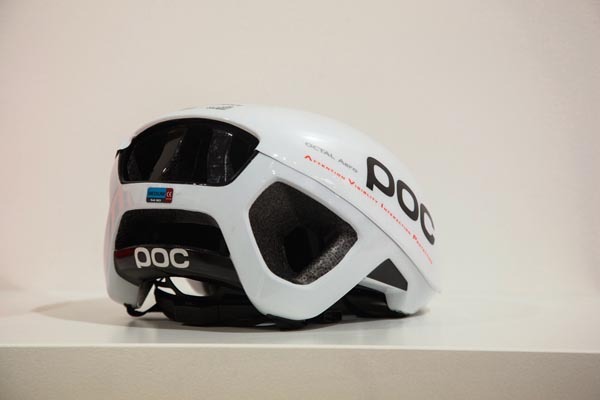 Thankfully, the aero helmet market has now become a competitive one, and the arms race has also driven the aesthetic element, meaning that 2014 will not only see a significant number of aero helmets from several brands hit the shops, but they will also be much better looking. Ranging from out-and-out aero designs to more subtle tweaks to existing models – such as permanent integrated covers in order to overcome the fairing regulation. Furthermore, in recognising that us mere mortal riders aren’t quite as restricted by UCI overlords, many brands are also giving us the detachable fairing choice, effectively two helmets for the price of one. 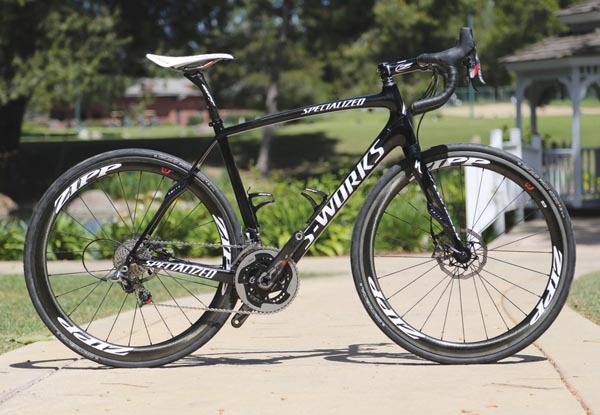 Do we want disc brakes on our road bikes? Do we need them? These are the questions that the bike trade is currently wrangling with. For a long time it’s been technically possible, yet only a few niche manufacturers have chosen to make them. But now that Shimano and SRAM have both launched race-level hydraulic road disc brakes they have started to turn up in many manufacturers’ brochures for 2014. There are a few opposing views as to what it’s all about. Those who think innovation shouldn’t be stifled, those who feel that rim brakes don’t offer enough stopping power, those manufacturers who are trying to make a name for themselves, those who want brakes to be lower maintenance. 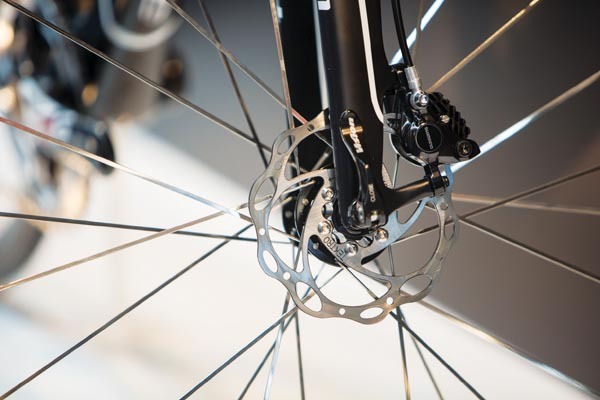 Most manufacturers are undecided about disc brakes, but they figure it’s best to let the customers decide what they want to have on their own bikes, so they have produced a compatible bike to see how it sells. We’ve all been a victim of it, buying the latest model with the promise of the most innovative technology to date, only to find it’s superseded within a couple of months. Not only does this leave you feeling misled on the innovation side, but also out of pocket when you see the bike you paid full price for a few rides previously is now significantly reduced. So hats off to the 2014 move by Trek to do away with annual upgrades and stick with a three-year life cycle for its bikes. With just a few annual colourway changes, the bikes will fundamentally remain the same, respecting the consumer and local bike shop who doesn’t suddenly find itself suddenly having to heavily discount last year’s model in order to make room for newer bikes. Once upon a time, bike brands were known for a speciality. The signature bike would have a raison d’etre for a doing a specific job, such as going fast in straight lines, or being lightweight for climbing. Depending on what kind of rider you moulded yourself on, you coveted a bike brand accordingly. 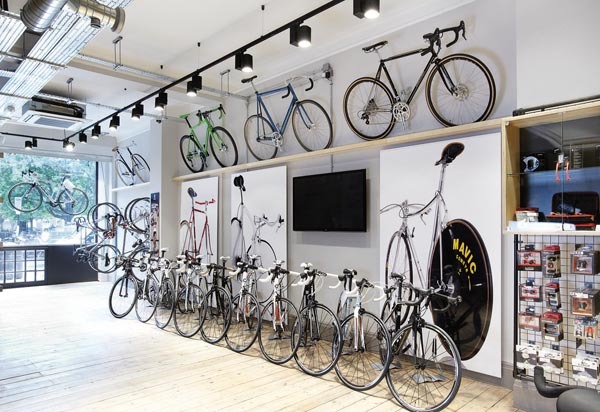 But with the WorldTour becoming a multi-million pound industry and the dawn of the super brands, bike manufacturers are more acutely aware of keeping up with the Joneses in order to keep brand loyalty. 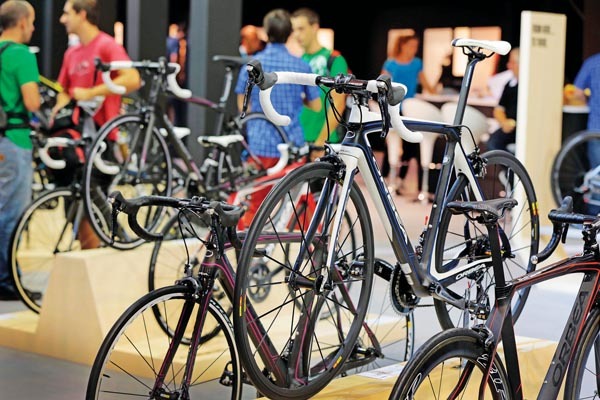 Looking at next year’s 2014 range of bikes, it’s now become industry standard to have a full complement of bikes in a manufacturer’s arsenal. So whether it’s an aero, sportive or lightweight bike you want, you’ll be able to get them under the same brand, with a price tag to suit. Deep section, shallow or disc; and tubular or clincher. That was pretty much the sum total of options as recently as a few years ago. Steadily the choice of rim depth has been added to the options, but it was still just a matter of mental arithmetic. In 2014 the number of wheel options means you’ll need a scientific calculator to establish what’s right for you. 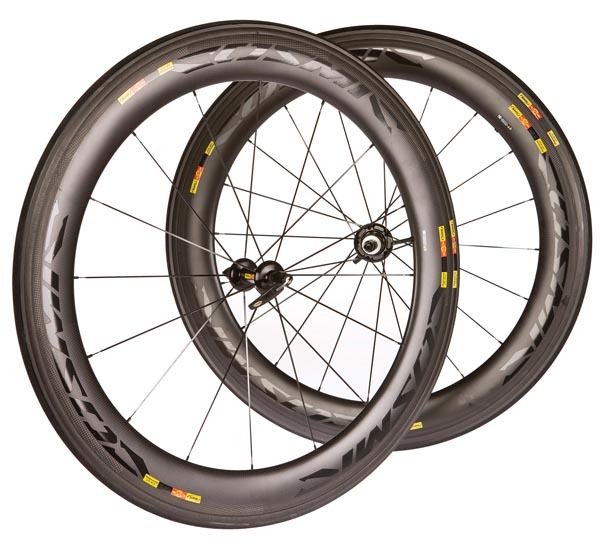 To rim depth, rim profile has been added, plus a choice of spokes and hubs, and of course you’ll need to factor in 10/11-speed compatibility. And that’s not even taking disc brake needs into account! The simple tubular versus clincher decision has now become a ménage à trois, with a tubeless option joining the mix. There are even wheel and tyre combos that are worth considering too. It’s a positive minefield for next year, we’re just glad we don’t also have to debate wheel size too. The dark art of power is having even more light shone on it for next year. While the usual suspects are still key players in the power meter market, updating and adapting existing models, a few other options have joined the power ranks. The latest trend is for more ‘user-friendly’ appeal. 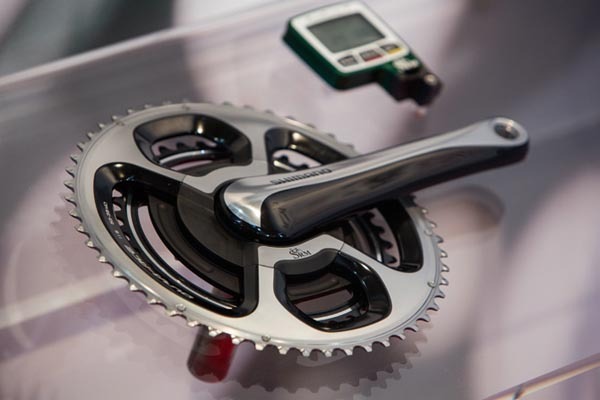 Whether it’s taking measurements from a crank or pedal, the aim is to gain as much information as possible. A right/ left split seems to be standard, while making access and translation of data as easy as possible by creating an easy to use interface platform is important. This also includes, for many brands, using ANT+ compatibility, allowing an element of freedom in selecting a head unit. This increase in choice can only be a good thing. One of the most complex issues in the bike world, that needs, in our opinion, untangling, is bottom bracket size. While the whys and wherefores need significantly more space to discuss, the bike world still has an overwhelming consensus for oversized ones. The bigger, and in theory, stiffer bottom bracket area was initially adopted by most manufacturers as the future in bike frame performance progression. Most drivetrain component brands now offer oversized bottom brackets as standard, (SRAM, FSA, Rotor and Campagnolo) so it strikes us as barmy that the biggest company still hasn’t produced one. With no Shimano option in sight for another year, every bike with an oversized bottom bracket running a Shimano drivechain will still has to have an adaptor fitted to convert it, which almost inevitably lead to a creak with every pedal revolution.